Once you have chosen a vehicle that you love — one that is most complementary to your needs and your personality — it is time to explore financing options. With our financing experts, though, this process has never been more straightforward, or more efficient. Part of the reason it is so quick nowadays is that you can complete a good portion of the purchasing process from the comfort of your home. From checking out our selection of vehicles to seeing how much your trade-in vehicle is worth (if you are trading in a car), the process is incredibly streamlined and comprehensive. We know that crunching numbers is not for everyone; we also know, whether you are buying or leasing, that the details of the financing process can be somewhat daunting in a lot of ways. That is why we have a team of financing experts who can quickly explain the ins and outs of the process. Furthermore, they can expound on any details you may wish to be clarified and can help you crunch the numbers. In other words, our financing team is here for you in every way. You can trust their advice and their knowledge. 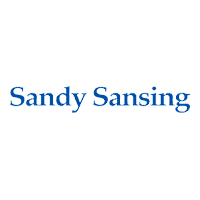 If you have any questions about our selection of vehicles, or about the financing process, we invite you to visit us at Sandy Sansing Dealerships in Pensacola, FL. Our team would be happy to assist you with all of your automotive needs so that you can spend more time on the road with your next dream vehicle!